Our process is fairly simple – three easy steps. If you get pulled away from completing the process or want to think about the opportunities, don’t worry as you can continue on at another time. 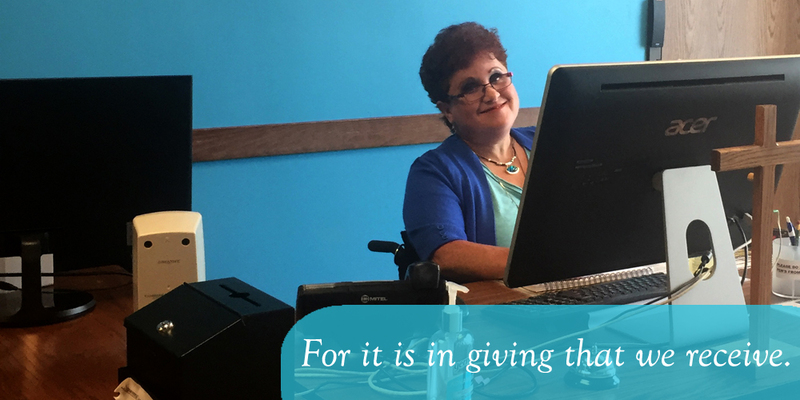 Once the contact information form is complete, Sr. Laurie Sullivan, our Volunteer Coordinator will contact you. If you have questions, you can email us at info@cclse.org. Scroll through our volunteer presentation. This presentation offers insight into all of the different services we provide to the community. Hopefully it will help you identify where you feel you can best partner with us. Take a quick five question review. This review will help you have an understanding of the work being done at Catholic Charities. Submit your intern application. Coming Soon!